Will Beto O'Rourke Follow the Path of Barack Obama, Abraham Lincoln, Jimmy Carter, and George H.W. Bush to the Presidency? Ronald L. Feinman is the author of “Assassinations, Threats, and the American Presidency: From Andrew Jackson to Barack Obama” (Rowman Littlefield Publishers, 2015). A paperback edition is now available. 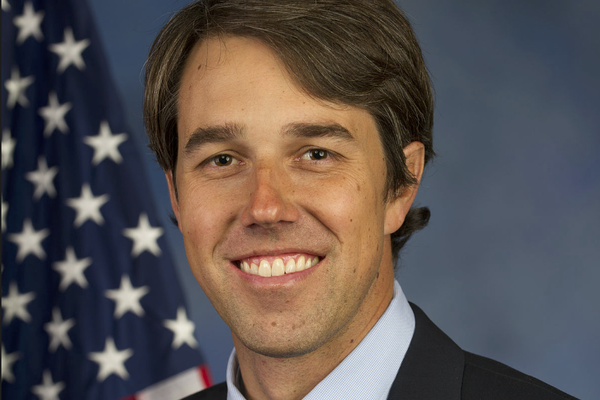 As multiple politicians have announced their 2020 presidential campaigns, many pundits continue to speculate if former Texas Congressman Robert Francis “Beto” O’Rourke of El Paso, Texas will enter the race. The paths to the presidency of four presidents—Jimmy Carter, Barack Obama, Abraham Lincoln, and George H.W. Bush—suggest Beto’s campaign could be successful. Many forget how much of a long-shot former Georgia Governor Jimmy Carter seemed when he announced his Presidential candidacy in December 1974 and was met with total skepticism. While Carter had had a significant term as Georgia’s Chief Executive, no one could foresee how he would march to the nomination in 1976 over many better known and more experienced contenders. He was the ultimate “Dark Horse" who shocked everyone by his well organized and planned strategy to win the nomination and overcome President Gerald Ford in the election. In 2007, freshman Illinois Senator Barack Obama began his 2008 Presidential campaign, building upon his much saluted convention speech in the Democratic National Convention in 2004. Many found Obama inspirational, but wondered if he could overcome the challenge of former First Lady and New York Senator Hillary Clinton. Many also were skeptical that a candidate of mixed race heritage could go all the way to the Presidency. Nevertheless, Obama did what seemed impossible, and took the oath of office in 2009. Then we have the case of Abraham Lincoln. Lincoln served one term from 1847-1849 in the Whig party as a Congressman from Illinois during the Mexican-American War. He was known for his antiwar stance after he introduced the Spot Resolution which demanded that President James K. Polk point out the exact location of the hostilities at the border with Mexico that led to the war declaration. His controversial opposition to the war led him to choose not to seek reelection. But ten years later in 1858, Lincoln ran for the US Senate. His seven debates across Illinois with opponent Stephan A. Douglas earned him national recognition. Although he lost the election, Lincoln went on to win the Republican nomination and the presidency in 1860. Finally, George H. W. Bush lost two Texas Senate races in 1964 and 1970. The second loss came after he served two terms in the House. Despite these two losses, Bush went on to serve as the U.S. Ambassador to the United Nations, Envoy to the People’s Republic of China, Director of the Central Intelligence Agency, and Vice President under Ronald Reagan for two terms. In 1988, he was elected president. So two Presidents seemed highly unlikely to win their party’s nomination (Carter and Obama) and two Presidents (Lincoln and H. W. Bush) lost Senate races after serving in the House of Representatives but went on to become Presidents. So, what does this tell us about Beto O’Rourke’s chances? O’Rourke, a three term Congressman from El Paso, Texas, ran a very aggressive Senate campaign against Ted Cruz in 2018. He lost in the heavily Republican state by only 2.6 percentage points— about 215,000 votes statewide. O’Rourke raised more money than any candidate for a Senate seat in American history—three times what Cruz was able to raise. O’Rourke gained national media attention; used social media brilliantly; inspired many young people; and was applauded for his charisma, optimism, and energy. Despite his loss to Cruz, O’Rourke is behind only Joe Biden and Bernie Sanders in early 2020 polls. The fact that his first and middle name are the same as the late Senator Robert F. Kennedy, and that he resembles Kennedy in his appearance, only adds to the lure of a possible, serious Presidential candidacy by someone who would match, if successful, the path of four former Presidents of the United States. Time will tell if O’Rourke is destined to follow these four Presidents in the White House.